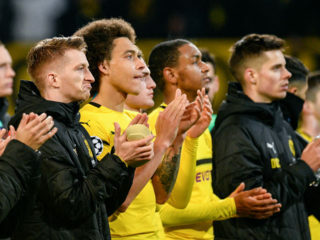 Borussia Dortmund must remedy glaring defensive errors to have any chance of overturning a 3-0 first leg deficit when they host Tottenham in the last 16 of the Champions League on Tuesday. 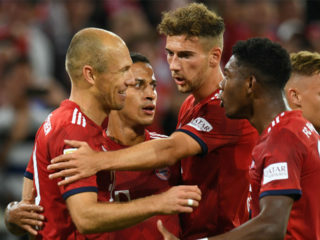 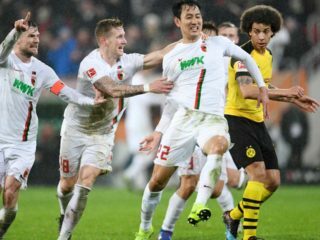 South Korea forward Ji Dong-won has been hailed as 'world-class' and a 'genius' after his two-goal haul for struggling Augsburg condemned Bundesliga leaders Borussia Dortmund to a shock 2-1 defeat. 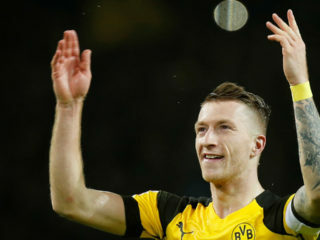 Borussia Dortmund captain Marco Reus returned to training with the Bundesliga leaders on Monday after a three-week absence with a thigh injury. 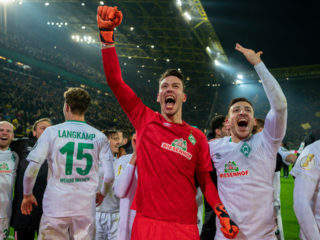 Flu-hit Bundesliga leaders Borussia Dortmund crashed out of the German Cup on Tuesday, losing a penalty shoot-out at home to Werder Bremen following a 3-3 draw after extra time.